The source code was leaked in 2000. 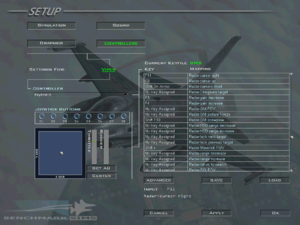 Most of the community has switched over to Falcon BMS, a heavily upgraded fork of F4's source code. 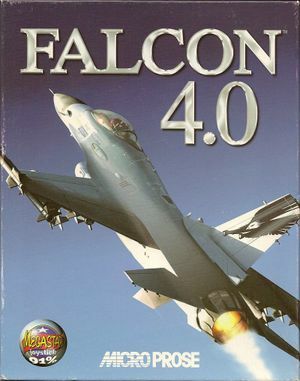 Bundled with Falcon, Falcon A.T., and Falcon 3.0 under bonus content. 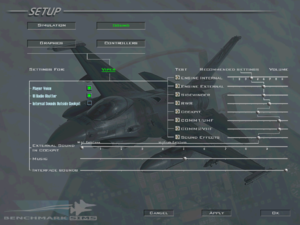 Bundled with Falcon, Falcon A.T., and Falcon Gold. The Version 1.08 Patch provides bugs fixes. 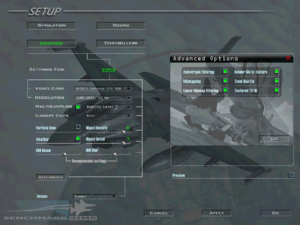 Graphical bugs are experienced during gameplay while running in Windows 7. Some textures will show bright purple sections with and without the patch and with the patch, text is unreadable while using hardware rendering. Switching to software rendering solves this but the game slows to a crawl while the cockpit is in view. 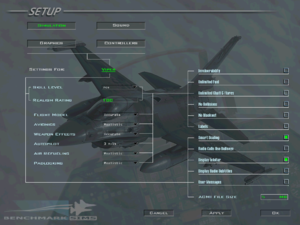 Sometimes the menu screens will bug, certain elements not disappearing when changing menu - running in Windows 95 compatibility mode could fix this (most prominent on Allied Force re-release). ↑ 1.0 1.1 File/folder structure within this directory reflects the path(s) listed for Windows and/or Steam game data (use Wine regedit to access Windows registry paths). Games with Steam Cloud support may store data in ~/.steam/steam/userdata/<user-id>/429530/ in addition to or instead of this directory. The app ID (429530) may differ in some cases. Treat backslashes as forward slashes. See the glossary page for details. This page was last edited on 23 April 2019, at 03:05.